Fearful puppies need extra effort and special attention if they are to overcome their fears and become confident, well-adjusted adults. There are a number of reasons for puppies to be afraid. The most common is lack of adequate socialisation and habituation early in life (see How to socialise a litter for information on how it should be done). 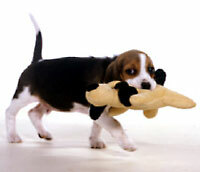 If your puppy missed out, you will have to make a determined effort to turn back the clock. Socialisation and habituation done after the 12-14 week cut-off time is harder work and a slow process. However, as the puppy gets older, it will get more and more difficult so it is important to start straight away and, going at the puppy’s speed, get him out and about as much as possible. Another reason for puppies to be afraid is bad experiences. A puppy that has been badly scared or hurt by something will have a specific fear of such things, unlike the under-socialised puppy that will be scared of nearly everything. This could be anything from black Labradors to teenagers wearing trainers. Helping a puppy get over specific fears is easier as there is only one thing to work on. If the mother of the puppies was fearful and was allowed to demonstrate her fear in the presence of the litter, they will have learned to be wary of the same things she was worried about. Usually, these are specific fears but fear of strangers is common and something that needs lots of work to overcome. She may also have passed on genes that make the puppies more likely to be fearful and reactive. These genetic predispositions are much more difficult to overcome. These are the reasons is why it is important to see the mother when buying puppies and to ensure that she has a good temperament. Encourage your puppy to relax and have fun during these controlled exposures by offering food treats and games. 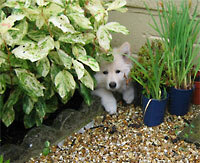 Gradually build up the intensity of the exposure over successive sessions as your puppy becomes less afraid. 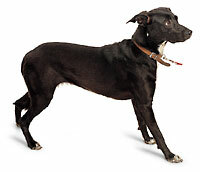 Go back a stage if your puppy shows signs of distress or anxiety. Continue until your puppy is relax and confident around the thing he once found scary.